If you are looking for a nutrition programme that is truly bespoke to your own individual needs then DNA testing may hold the answer. The latest research into the link between genes and nutrition (known as nutrigenetics) is providing ways to tailor nutrition programmes to each individual like never before possible. I am a big fan of using tests in my clinic because they provide me with a greater understanding of my client's underlying health issues and nutritional needs. 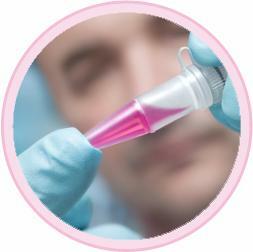 More recently I have begun to incorporate DNA screening into my list of testing services. I have already been pleasantly surprised with just how significant results have been when clients have taken on board the recommendations of their test results. The DNA test is carried out via a simple mouth swab - no needles required for this one! The swab sample is sent to the laboratory where experts analyse your sample and develop a report on your personal genetic markers associated with health, nutrition and fitness. Based on these results you will be provided with a personalised dietary and supplement plan to implement into your daily life. What can the test tell us? Don't worry - the test will NOT tell you that you are likely to die tomorrow or scare you with disease risk information you may rather not know! Rather it focusses on the factors you can positively influence through your nutrition and lifestyle. The test I use is based on solid scientific evidence giving credibility to each gene screened and how that gene relates to our health. There has been interesting research carried out into weight loss results in individuals following a DNA appropriate diet. In a recent study of 191 obese people by the University of Trieste, those using a DNA matched diet lost 33 per cent more weight than those counting calories. Patients on a DNA diet also gained 16% more muscle. DNA diets are currently being pilot trialled within the NHS. Individuals in the study are provided with a genetically matched diet to see whether or not they lose more weight, and/or stick to the diet better, than a control group of individuals. The NHS is highly regarded for providing well researched, scientifically backed treatment giving recognition of the importance of this ever growing science. As with most things that I offer my clients, I tested this out on myself first. Some of the results came as no surprise to me - I'm sensitive to carbohydrates and so best suited to a low carbohydrate diet (sadly pasta is not my friend!) However, much of the information I discovered I was not aware of previously. One example being that I didn't know I was sensitive to salt but since discovering this I've made a conscious effort to add less salt to my food. I notice that when I do, I retain less water. I am now offering DNA testing to my clients in London and those who I consult nationally and internationally via Skype. The cost is £249. If you are interested in having your DNA tested in order to create a diet and nutrition plan truly unique to your needs, then please do get in touch.